Pug Convention: 10:00AM-3.00PM w/celebrities, food, vendors, contests, speakers, auction, & rescue groups. 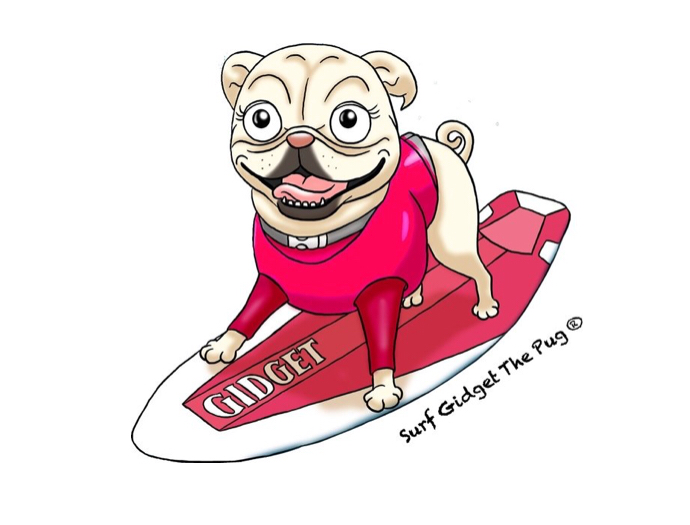 “Hang-Ten” with Surf Gidget The Pug!! 2 & 4 legged guests! 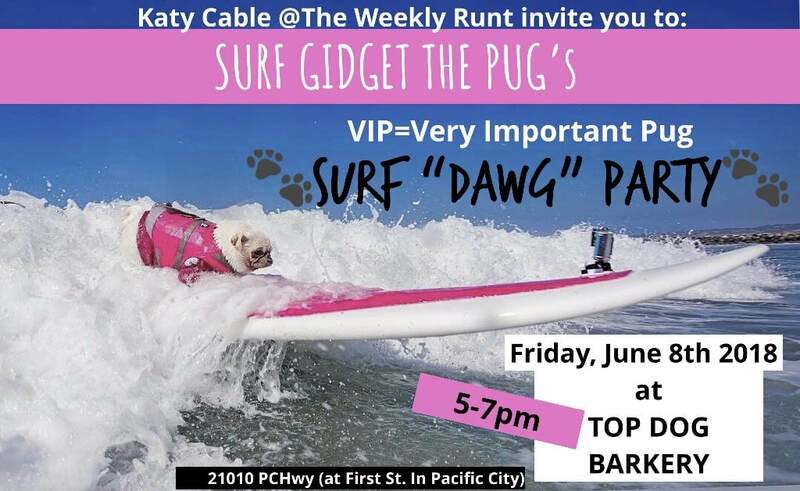 Door prizes, sWAG bags, photo-opps with Pug-lebrities & Surf-dogs! Kicks off at 9:00am on Friday, June 8th. The event is held at the HB pier but the actual surf competition will be held on the beach at the river mouth. Gidget Groupies will be meeting on the beach at 8:30AM in our “Gidget Gear” cheering her on as she shreds, 360’s, and amazes us all! The competition wraps up with an awards ceremony at around 1:00pm. 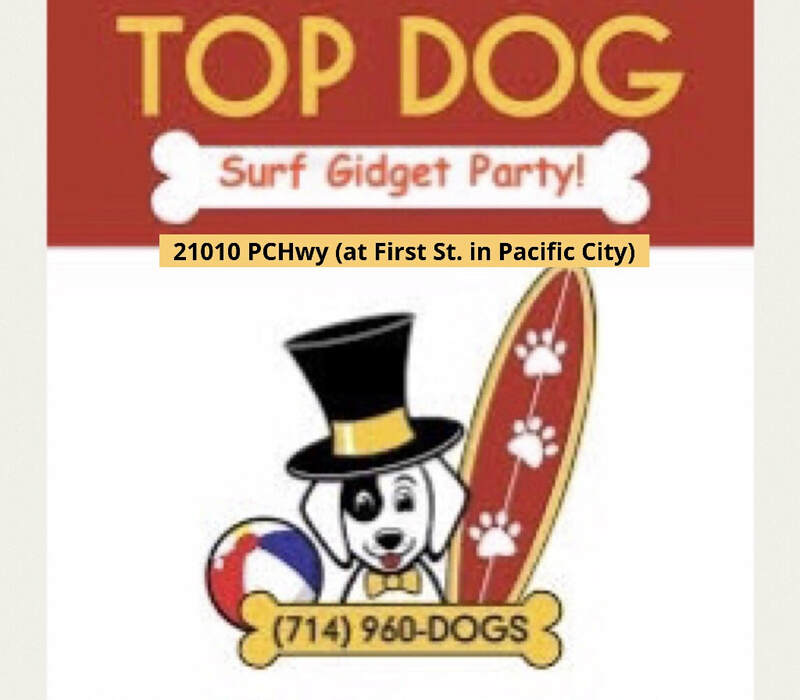 ​Gidget will then “Wash-Up” take a “Cat-Nap” and return to TOP DOG BARKERY for her celebration party that evening. Gidget is stoked to see everyone!